Warning- lazy and running out of time to get this done in a timely manner- this will be mostly photos. 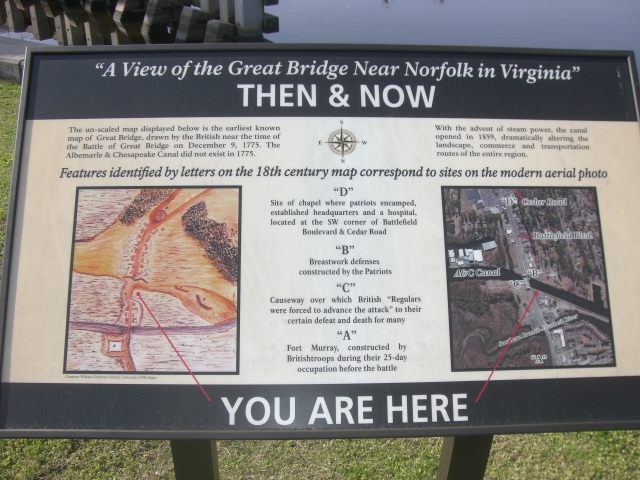 Great Bridge has a Civil War battle history and is the place where the course of the southern branch of the Elizabeth River was altered and a lock placed. 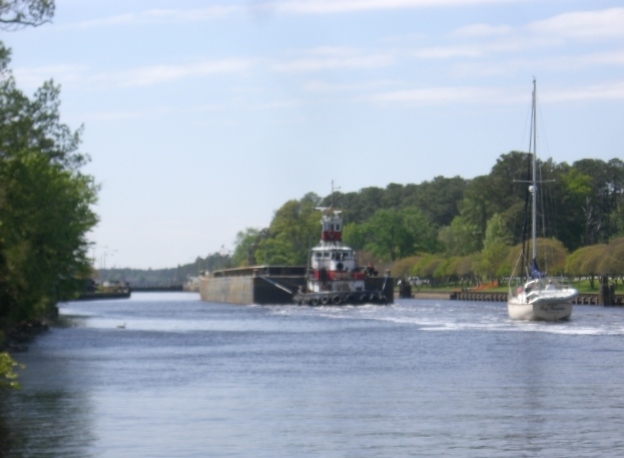 The river south of the Great Bridge Lock has virtually no current nor tide. 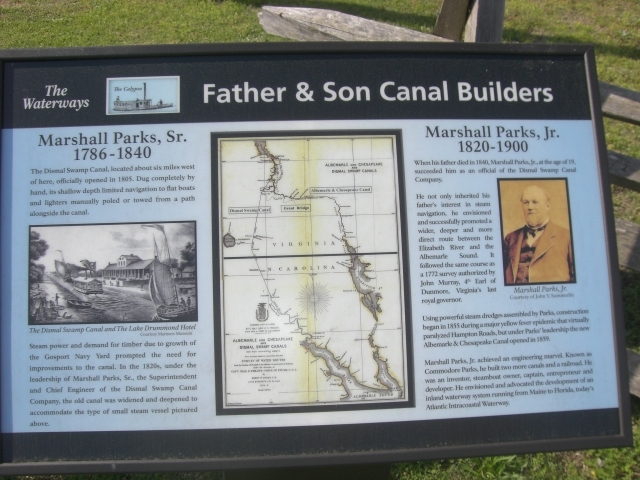 The skimpy 1/2 mile stretch between the bridge and lock is an ideal place for a dock and activities such as rowing, duck races, Opti races and the like. 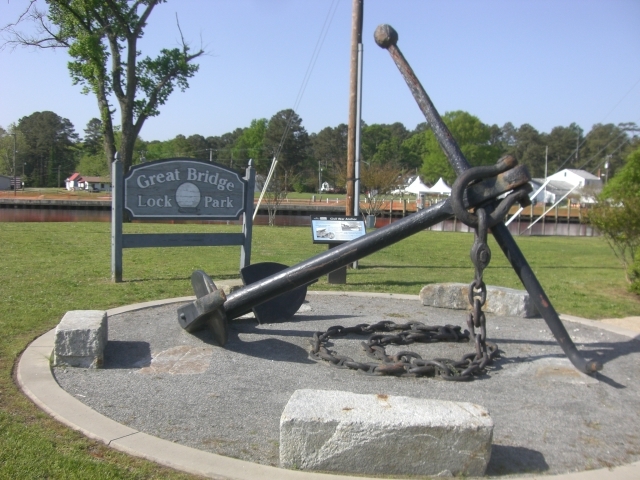 The bridge only opens hourly while the lock opens on the hour for north bound traffic and on the half hour for south bound. 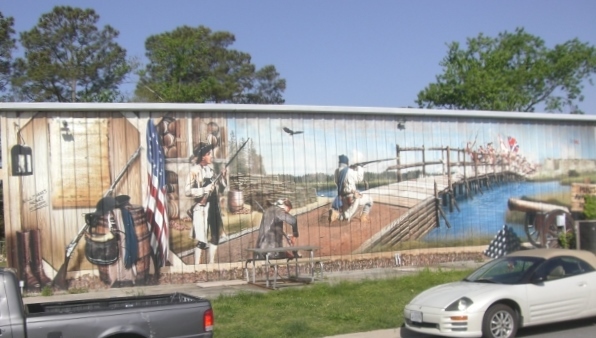 Local sign shop displays mural of Battle at Great Bridge. After the free dock we traveled all of six miles, through the lock and one more bridge, to Top Rack Marina which sits a stone’s throw from the Dominion Blvd Steel (bascule) bridge. Their gas and diesel prices are the lowest around and we figured if we couldn’t save by sailing we’d save on cost. 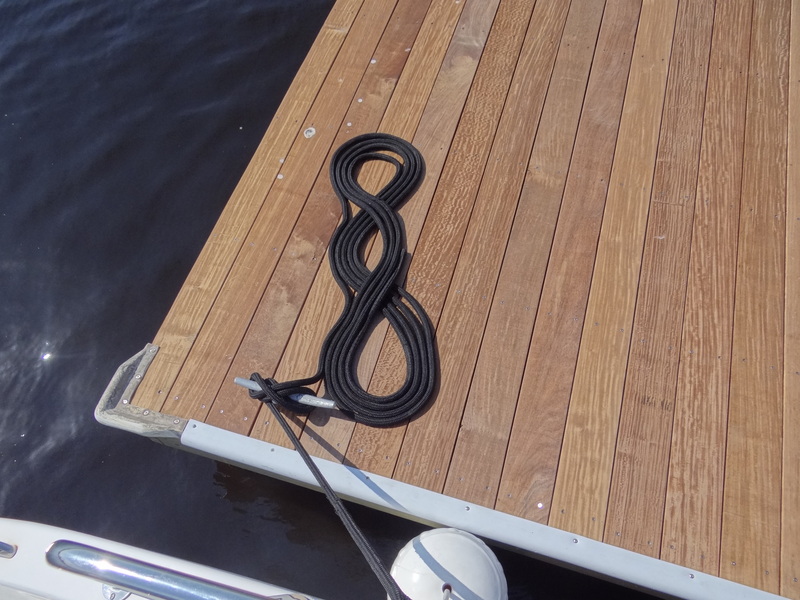 They also offer a dock and dine deal. If you eat at the Amber Lantern restaurant your dockage is free. Not much to look at and no laundry, but wonderful bathrooms and shower thanks to being only three years old, it was an easy stop before we needed to move on to Cape Charles to stage for our offshore. 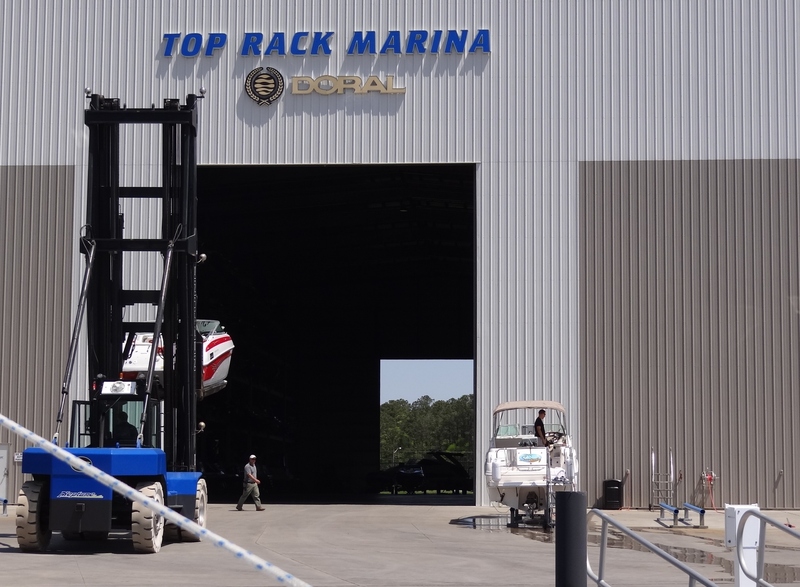 As the name implies, boats are rack stored inside. Our black lines are so long- this makes them look lovely.